Easy sausage breakfast pizza with crescent roll crust is a fun and delicious cheesy breakfast. 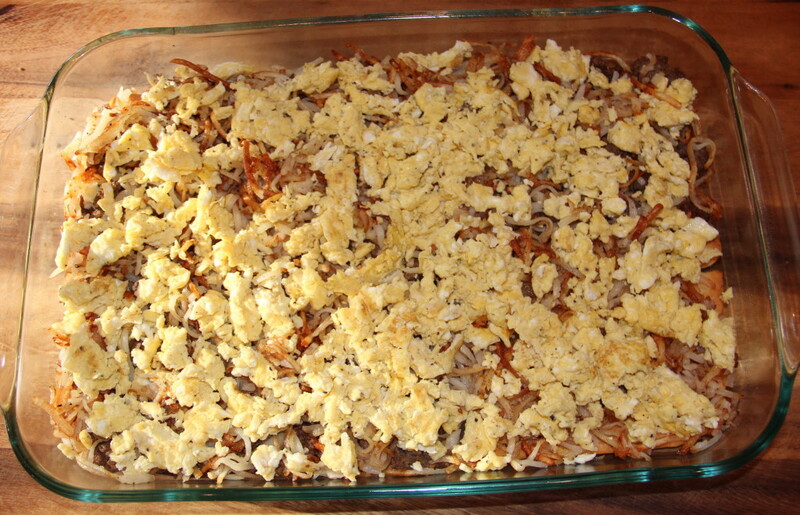 Kids love this more than breakfast casserole! We love cheese grits with this breakfast pizza! Whew! Thanksgiving and Christmas are behind us and the New Year is looming just around the corner. Soon life will be back to some degree of normal. We’ve had visitors off and on over the last few weeks, and one of my go-to breakfast dishes when company is here is this easy sausage breakfast pizza. 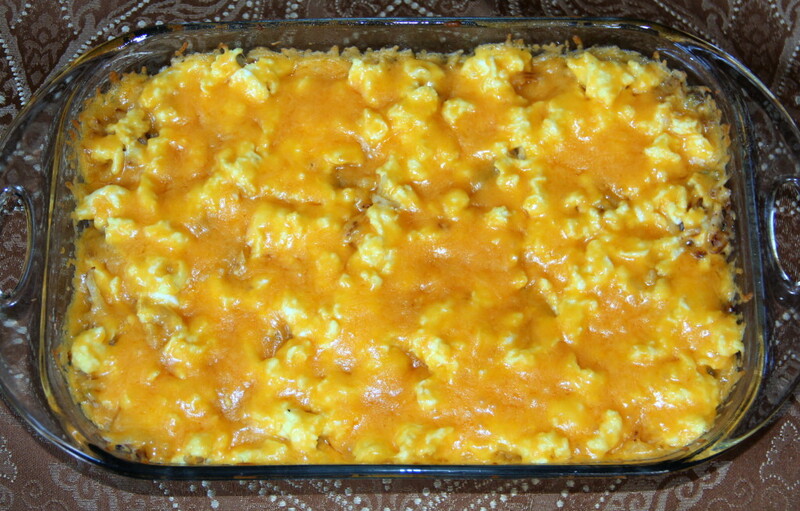 The texture is different from that of breakfast casserole because you scramble the eggs rather than make a custard. It’s a little more time consuming than breakfast casserole, but my family prefers the sausage breakfast pizza. 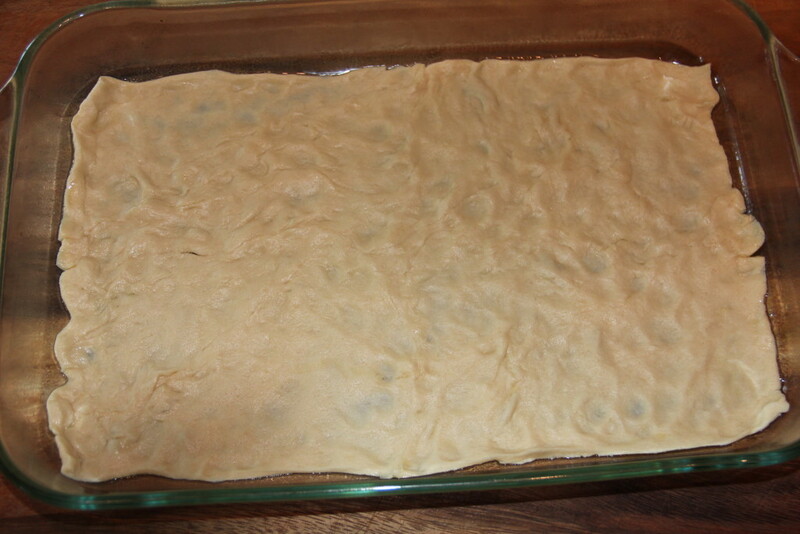 Start with a package of crescent rolls and spread into a greased 9×13 inch baking dish. This recipe was adapted from a recipe from Jimmy Dean sausage, which calls for the crescent rolls to be spread out on a pizza pan. However, I’ve added more of everything so I just bake it in a large dish because it’s too much for a pizza pan! Bake the crescent rolls at 375° for 10-15 minutes until browned. While the crescent rolls are baking, saute one package of refrigerated hash browns with half a cup of chopped onion and half a cup of chopped red or green bell pepper. I like the hash browns nice and crispy so I cook them on medium-high for about 10 minutes. 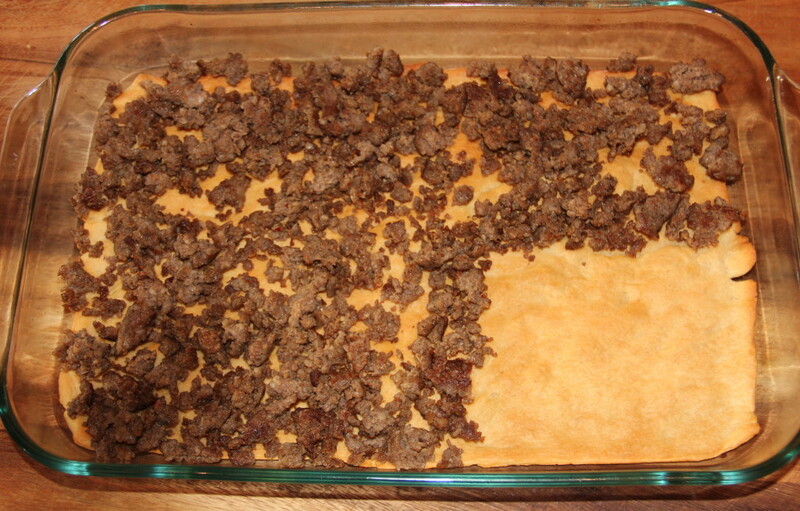 In a large skillet, cook one pound of ground sausage on medium-high heat until brown and crumbly, 8-10 minutes. 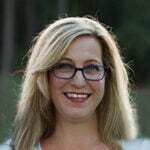 Remove the sausage from skillet and drain on a plate lined with a paper towel. Take 8 large eggs and mix with a little salt and pepper and 3 tablespoons of half and half, then add to the skillet and scramble lightly for a couple of minutes. The eggs will finish cooking in the oven so don’t overcook them in the skillet. Sprinkle the sausage over the crescent rolls. Malorie doesn’t like sausage, so I left off a corner for her. Spread the hashbrown/pepper mixture over the sausage. 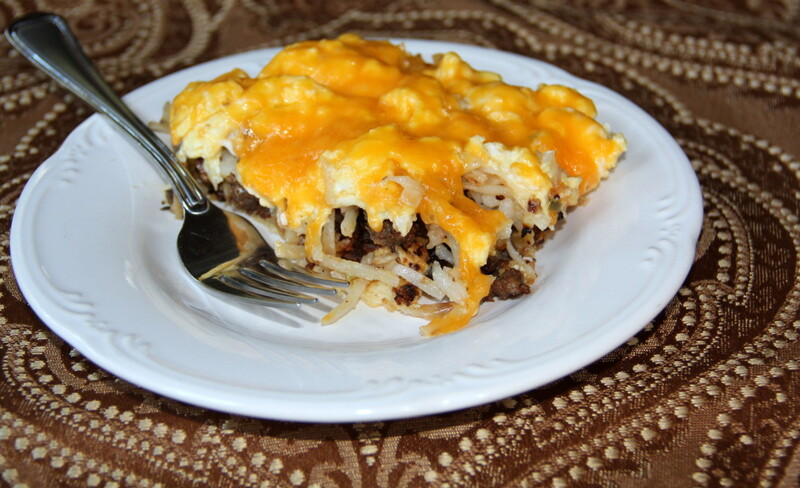 Then add the eggs over the hashbrowns and cover the top with 2 1/2 cups of grated Cheddar cheese. Bake for 10 minutes or until cheese is melted. Cut into pieces and serve. Easy sausage breakfast pizza with crescent roll crust is a fun and delicious cheesy breakfast. Preheat oven to 375. 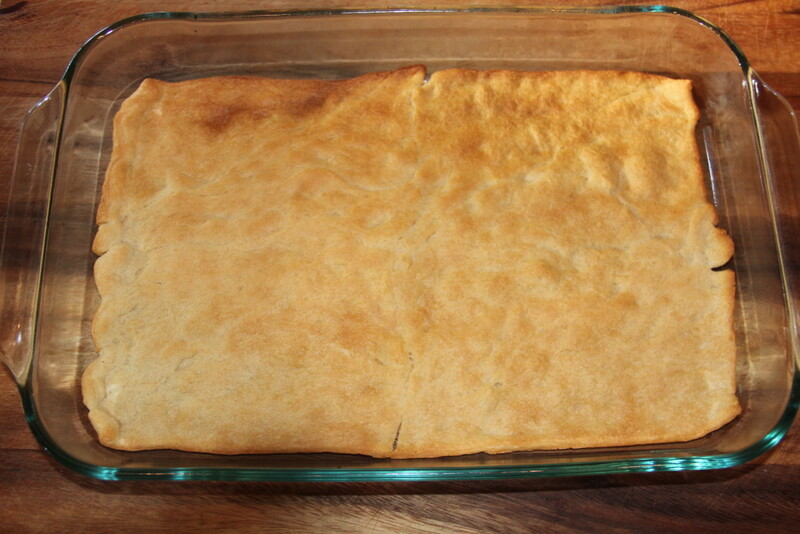 Lightly spray 9x13 inch baking dish with cooking spray and then spread crescent rolls in dish, making sure to press the edges together so there is no separation. Bake crescent rolls until lightly browned, 10-15 minutes. 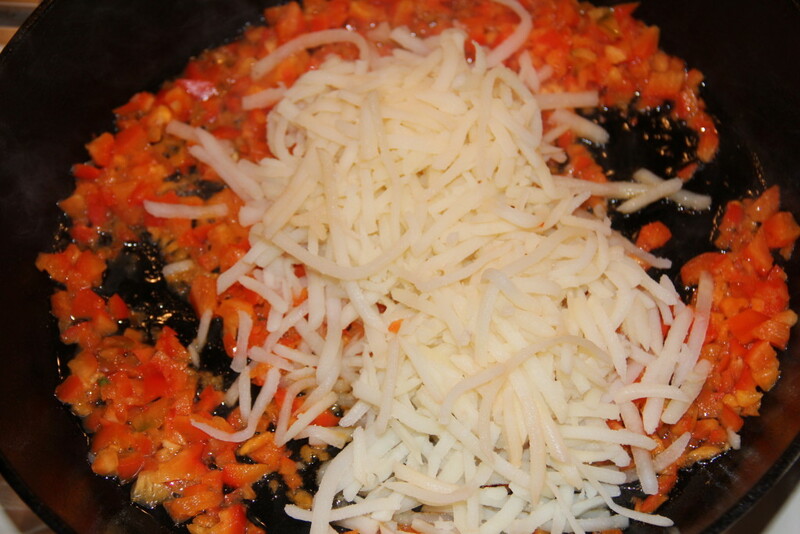 In large skillet, pour about 3 tablespoons canola oil and heat, then add the hashbrowns, onion and pepper. Cook until hashbrowns are crispy, flipping every few minutes.You may have to cook in batches. 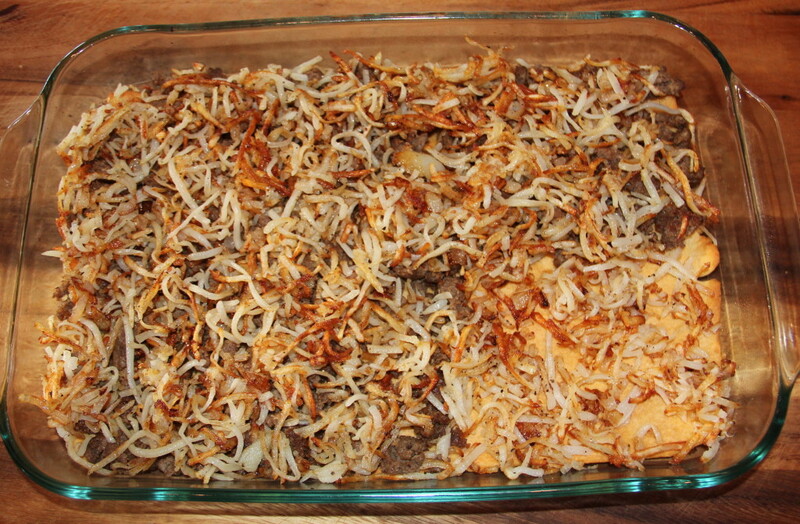 Once hashbrowns are done, add sausage to skillet and cook until brown and crumbly. Remove and drain on a paper-towel lined plate. Mix eggs with half and half and a little salt and pepper, then add to skillet and cook for about 2 minutes, just until lightly scrambled. Spread sausage over the baked crescent rolls, then top with hashbrowns, eggs and then spread the grated Cheddar cheese over the top. Bake for about 10 minutes or until cheese is completely melted. This has to be the best thing ever! Next time there’s company, I’ll definitely be whipping this up!